Stay In Your Lane,Know His Lane! :Episode 1. Welcome to our new series, being told to “stay in your lane”! or choosing to depend on the context it could be perceived as either being negative, restrictive or protective. Let me unpack this with a couple of examples. Your driving to your destination in your lane when suddenly a vehicle has cut in front of you without indicating or you have been the driver trying to get to your destination. There is a slower vehicle ahead of you appearing to be hampering your progress, the point I am making is that things do come in our way that affects our plans in life. If in these examples we attempted to overtake or argue with the driver, this could take us away from our destination and into potential danger. Staying in our lane can sometimes be a negative an example of this, could be around somebody being very inflexible over a holiday booking. “I am only going to my destination if the flight is with a certain airline!, at a specific time and I have a window seat”. Staying in your lane in this example can restrict you and others. Remaining in our lane can be a way to protect ourselves from further hurt and upset, this could be as a result of a trauma. It could also be as a result of us wanting to distance ourselves from distractions in our lives to fulfill our plans. Within this new three-part series titled “Stay in Your Lane, Know his Lane! ” the aim is to help us to recognize that plans we set, also need to be linked to plans that our heavenly father has for us. During each episode, there will either be a Bible based scripture or a Bible based character(s) introduced highlighting this important point. The first character in the series can be found in the opening book of the Bible Genesis. God changed his name and asked him to follow him into His lane, he was aged 75 at the time. This person was Abram whose name was later changed to Abraham by God. Abraham’s story can be found in Genesis Chapters 11-25. By way of brief background in Chapter 11, Abraham had been used to following a certain lane that his father had set but didn’t complete. Terah, his father had taken Abram, as he was known at the time and his extended family from their home to a new area called Canaan. The family stopped in a different area and settled there rather than moving onto their ultimate destination. In Genesis Chapter 12 Verses 1-5 we see that God was asking Abraham to understand his lane, and follow him rather than stay within his own comfort zone. Lets tease out some principles. In order to go to the next level, we have to leave our comfort zone. This may mean leaving old friends, old habits and interests. It could mean leaving that job or course. We often require guidance once we make that decision to follow our plan or vision, this help can come not only from people who have experience in the area we are pursuing. God can also guide us once we move! With our heavenly father alongside us on our journey success can be achieved and we can gain strength which can be an inspiration to others. It can be uncertain when making that step and following your lane, but when opposition occurs, this can be overcome if we persevere and trust in our heavenly father. Sometimes staying in your own lane can be comfortable and safe, moving can be difficult. Abraham took the leap of faith and did what he was asked to do. Let us take encouragement from him. In the next episode, we are going to look at what can happen if we have doubt and how we can overcome this. Join us next time! 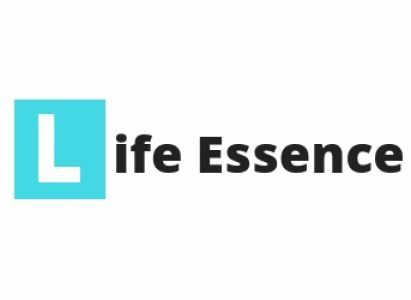 The previous themed blog series are all available via the Life Essence app, and this entire series, alongside additional resources, will be available at the end of the series. Next Post Walking by Faith!